The Torah portion for this week is Va’eira, which means “and I appeared,” from Exodus 6:2–9:35, and the Haftorah is from Ezekiel 28:25–29:21. If you’re like the rest of us, no doubt you have experienced discouragement, maybe even today. It could be a goal you never seem to reach or an expectation that didn’t come to fruition. Sometimes it seems like things will never get better and it’s all too easy to give up and despair. This week’s Torah reading picks up the story of Israel’s redemption. Just a few verses earlier, the process had already gotten underway. Moses accepted God’s mission to free the people and went to speak to Pharaoh. However, Pharaoh’s response was less than encouraging. 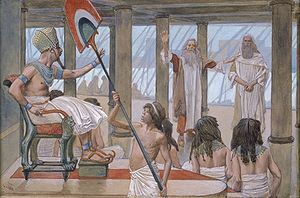 Not only did he answer Moses’ plea to “Let my people go” with an emphatic “no,” Pharaoh also made the Israelites’ conditions even harsher and impossibly demanding. At that point, Moses was extremely discouraged. He said to God: “Ever since I went to Pharaoh … he has brought trouble on this people, and you have not rescued your people …” (Exodus 5:23). In other words, things are only getting worse, God! Last week’s reading ended with God encouraging Moses with the promise that everything would work out in the end. This week’s reading begins with an encouraged Moses who returned to the Israelites to tell them that redemption is near. However, “they did not listen to him because of their discouragement and harsh labor.” Once again, Moses was left feeling deflated and discouraged. What a disheartening section. However, within this tale of discouragement, we can find a cure for the ailment of despair. First, let’s start with the cause. The verse tells us the source of the people’s inability to embrace hope. The cause, which is translated from Hebrew as “discouragement and harsh labor,” literally means “short spirit and hard work.” In other words, the Israelites suffered from a crushed spirit because of how hard life had been. In addition, they suffered from physical exhaustion due to overworking. Both of these factors kept them mired in despair. However, there is a way out. The first step is to rest. 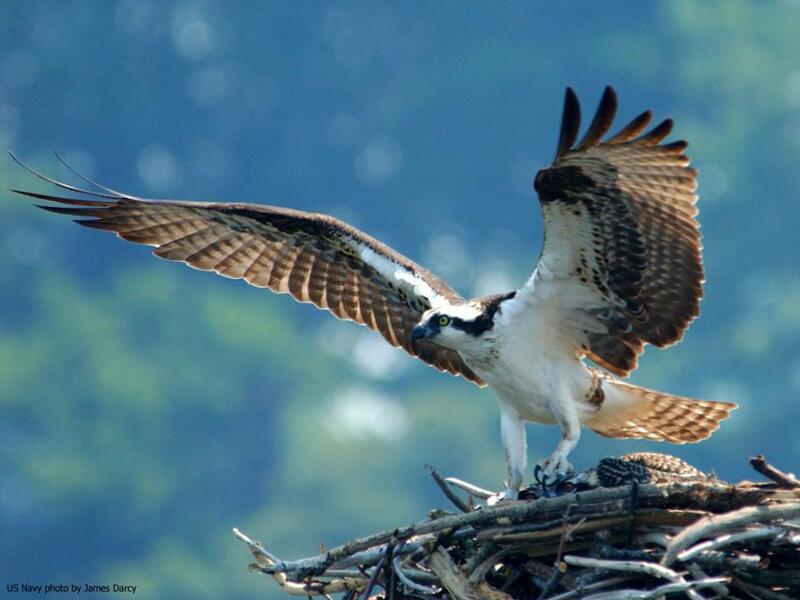 When our bodies are physically strong, our spirits are stronger. We need to take care of our bodies with proper nutrition and sleep. The second step is to believe in God’s promises for the future. God reiterated His promises to Moses, but in time, Moses had to learn, and we all have to model, how to remember God’s promises and trust them on our own. We can reinforce our faith through daily prayer and study. Once we nurture our bodies and spirits, we can leave despair behind – and turn our discouragement into the courage to persevere and be redeemed. Not only that which is seen of the church of God, but that which is unseen, is fair and precious. Foundations are out of sight, and so long as they are firm it is not expected that they should be valuable; but in Jehovah’s work everything is of a piece, nothing slurred, nothing mean. The deep foundations of the work of grace are as sapphires for preciousness, no human mind is able to measure their glory. We build upon the covenant of grace, which is firmer than adamant, and as enduring as jewels upon which age spends itself in vain. Sapphire foundations are eternal, and the covenant abides throughout the lifetime of the Almighty. Another foundation is the person of the Lord Jesus, which is clear and spotless, everlasting and beautiful as the sapphire; blending in one the deep blue of earth’s ever rolling ocean and the azure of its all embracing sky. Once might our Lord have been likened to the ruby as he stood covered with his own blood, but now we see him radiant with the soft blue of love, love abounding, deep, eternal. Our eternal hopes are built upon the justice and the faithfulness of God, which are clear and cloudless as the sapphire. We are not saved by a compromise, by mercy defeating justice, or law suspending its operations; no, we defy the eagle’s eye to detect a flaw in the groundwork of our confidence–our foundation is of sapphire, and will endure the fire. The Lord himself has laid the foundation of his people’s hopes. It is matter for grave enquiry whether our hopes are built upon such a basis. Good works and ceremonies are not a foundation of sapphires, but of wood, hay, and stubble; neither are they laid by God, but by our own conceit. Foundations will all be tried ere long: woe unto him whose lofty tower shall come down with a crash, because based on a quicksand. He who is built on sapphires may await storm or fire with equanimity, for he shall abide the test. “And Boaz said unto her, At mealtime come thou hither, and eat of the bread, and dip thy morsel in the vinegar. And she sat beside the reapers: and he reached her parched corn, and she did eat, and was sufficed, and left.”—Ruth 2:14. “I would not change my bless’d estate For all the world calls good or great; And while my faith can keep her hold, I envy not the sinner’s gold.” II. Follow me while we turn to a second point, TO THESE MEALS THE GLEANER IS AFFECTIONATELY INVITED. That is to say, the poor, trembling stranger who has not strength enough to reap, who has no right to be in the field except the right of charity—the poor, trembling sinner, conscious of his own demerit, and feeling but little hope and little joy, is invited to the feast of love. In the text the gleaner is invited to come. “At mealtime, come thou hither.” We trust none of you will be kept away from the place of holy feasting by any shame on account of your dress, or your personal character, or your poverty; nay, nor even on account of your physical infirmities. “At mealtime come thou hither.” I knew a deaf woman who could never hear a sound, and yet she was always in the House of God, and when asked why, her reply was that a friend found her the text, and then God was pleased to give her many a sweet thought upon it while she sat with his people; besides, she felt that as a believer she ought to honour God by her presence in his courts, and by confessing her union with his people; and, better still, she always liked to be in the best of company, and as the presence of God was there, and the holy angels, and the saints of the Most High, whether she could hear or no, she would go. If such persons find pleasure in coming, we who can hear should never stay away. Though we feel our unworthiness, we ought to be desirous to be laid in the House of God, as the sick were at the pool of Bethesda, hoping that the waters may be stirred, and that we may step in and be healed. Trembling soul, never let the temptations of the devil keep thee from the assembly of worshippers; “at mealtime come thou hither.” Moreover, she was bidden not only to come but to eat. Whatever there is sweet and comfortable in the Word of God, ye that are of a broken and contrite spirit are invited to partake of it. “Jesus Christ came into the world to save sinners“—sinners such as you are. “In due time Christ died for the ungodly“—such ungodly ones as you feel yourselves to be. You desire to be Christ’s. You may be Christ’s. You are saying in your heart, “O that I could eat the children’s bread!” You may eat it. You say, “I have no right.” But the Lord gives you the invitation! Come without any other right than the right of his invitation. “Yes, I to the end shall endure, As sure as the earnest is given; More happy, but not more secure, The glorified spirits in heaven.”I used to think I should never be able to sing that hymn. It was the sauce, you know. I might manage to eat some of the plain bread, but I could not dip it in that sauce. It was too high doctrine, too sweet, too consoling. But I thank God I have since ventured to dip my morsel in it, and now I hardly like my bread without it. I would have every trembling sinner partake of the comfortable parts of God’s Word, even those which cavillers call “HIGH DOCTRINE.” Let him believe the simpler truth first, and then dip it in the sweet doctrine and be happy in the Lord. I think I see the gleaner half prepared to come, for she is very hungry, and she has nothing with her; but she begins to say, “I have no right to come, for I am not a reaper; I do nothing for Christ; I am only a selfish gleaner; I am not a reaper.” Ah! But thou art invited to come. Make no questions about it. Boaz bids thee; take thou his invitation, and approach at once. “But,” you say, “I am such a poor gleaner; though my labour is all for myself, yet it is little I win by it; I get a few thoughts while the sermon is being preached, but I lose them before I reach home.” I know you do, poor weak-handed woman. But still, Jesus invites thee. Come! Take thou the sweet promise as he presents it to thee, and let no bashfulness of thine send thee home hungry. “But,” you say, “I am a stranger; you do not know my sins, my sinfulness, and the waywardness of my heart.” But Jesus does, and yet he invites you. He knows you are but a Moabitess, a stranger from the commonwealth of Israel; but he bids you come. Is not that enough? “But,” you say, “I owe so much to him already; it is so good of him to spare my forfeited life, and so tender of him to let me hear the gospel preached at all; I cannot have the presumption to be an intruder, and sit with the reapers.” Oh! but he bids you. There is more presumption in your doubting than there could be in your believing. He bids you. Will you refuse Boaz? Shall Jesus’ lips give the invitation, and will you say him nay? Come, now, come. Remember that the little which Ruth could eat did not make Boaz any the poorer; and all that thou wantest will make Christ none the less glorious or full of grace. Are thy necessities large? His supplies are larger. Dost thou require great mercy? He is a great Saviour. I tell thee that his mercy is no more to be exhausted than the sea is to be drained. Come at once. There is enough for thee, and Boaz will not be improverished by thy feasting to the full. Moreover, let me tell thee a secret—Jesus loves thee; therefore is it that he would have thee feed at his table. If thou art now a longing, trembling sinner, willing to be saved, but conscious that thou deservest it not, Jesus loves thee, and he will take more delight in seeing thee eat than thou wilt take in the eating. Let the sweet love he feels in his soul toward thee draw thee to him. And what is more—but this is a great secret, and must only be whispered in your ear—he intends to be married to you; and when you are married to him, why, the fields will be yours; for, of course, if you are his spouse, you are joint proprietor with him. Is it not so? Doth not the wife share with the husband? All those promises which are “yea and amen in Christ” shall be yours; nay, they all are yours now, for “the man is next of kin unto you,” and ere long he will take you unto himself for ever, espousing you in faithfulness, and truth, and righteousness. Will you not eat of your own? “Oh! but,” says one, “how can it be? I am a stranger.” Yes, a stranger; but Jesus Christ loves the stranger. “A publican, a sinner;” but he is “the friend of publicans and sinners.” “An outcast;” but he “gathereth together the outcasts of Israel.” “A stray sheep;” but the shepherd “leaves the ninety and nine” to seek it. “A lost piece of money;” but he “sweeps the house” to find thee. “A prodigal son;” but he sets the bells a-ringing when he knows that thou wilt return. 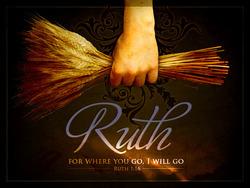 Come, Ruth! Come, trembling gleaner! Jesus invites thee: accept the invitation. “At mealtime come thou hither, and eat of the bread, and dip thy morsel in the vinegar.” III. Now, thirdly—and here is a very sweet point in the narrative—BOAZ REACHED HER THE PARCHED CORN. She did “come and eat.” Where did she sit? Note well that she “sat beside the reapers.” She did not feel that she was one of them, but she “sat beside” them. Just like some of you who do not come to the Lord’s Supper, but sit and look on. You are sitting “beside the reapers.” You fear that you are not the people of God; still you love them, and therefore sit beside them. If there is a good thing to be had, and you cannot get it, you will sit as near as you can to those who do get it. “She sat beside the reapers.” And while she was sitting there, what happened? Did she stretch forth her hand and take the food herself? No, it is written, “He reached her the parched corn.” Ah! That is it. None but the Lord of the harvest can hand out the choicest refreshments of spiritual minds. I give the invitation in my Master’s name, and I hope I give it earnestly, affectionately, sincerely; but I know very well that at my poor bidding none will come till the Spirit draws. No trembling heart will accept divine refreshing at my hand; unless the King himself comes near, and reaches the parched corn to each chosen guest, none will receive it. How does he do this? By his gracious Spirit, he first of all inspires your faith. You are afraid to think that it can be true that such a sinner as you are can ever be “accepted in the Beloved”; he breathes upon you, and your faint hope becomes an expectancy, and that expectation buds and blossoms into an appropriating faith, which says, “Yes, my beloved is mine, and his desire is toward me.” Having done this, the Saviour does more; he sheds abroad the love of God in your heart. The love of Christ is like sweet perfume in a box. Now, he who put the perfume in the box is the only person that knows how to take off the lid. He, with his own skilful hand, opens the secret blessing, and sheds abroad the love of God in the soul. But Jesus does more than this: he reaches the parched corn with his own hand, when he gives us close communion with himself. Do not think that this is a dream; I tell you there is such a thing as speaking with Christ to-day. 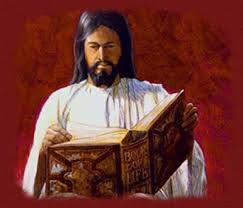 As certainly as I can talk with my dearest friend, or find solace in the company of my beloved wife, so surely may I speak with Jesus, and find intense delight in the company of Immanuel. It is not a fiction. We do not worship a far-off Saviour; he is a God nigh at hand. His word is in our mouth and in our heart, and we do to-day walk with him as the elect did of old, and commune with him as his apostles did on earth; not after the flesh, it is true, but after a real and spiritual fashion. Yet once more let me add, the Lord Jesus is pleased to reach the parched corn, in the best sense, when the Spirit gives us the infallible witness within, that we are “born of God.” A man may know that he is a Christian beyond all question. Philip de Morny, who lived in the time of Prince Henry of Navarre, was wont to say that the Holy Spirit had made his own salvation to him as clear a point as a problem demonstrated in Euclid. You know with what mathematical precision the scholar of geometry solves a problem or proves a proposition, and with as absolute a precision, as certainly as twice two are four, we may “know that we have passed from death unto life.” The sun in the heavens is not more clear to the eye than his present salvation to an assured believer; such a man could as soon doubt his own existence as suspect his possession of eternal life. Now let the prayer be breathed by poor Ruth, who is trembling yonder. Lord, reach me the parched corn! “Show me a token for good.” “Deal bountifully with thy servant.” “Draw me, we will run after thee.” Lord, send thy love into my heart! “Come, Holy Spirit, heavenly Dove, With all thy quickening powers, Come, shed abroad a Saviour’s love, And that shall kindle ours.”There is no getting at Christ except by Christ revealing himself to us. IV. And now the last point. After Boaz had reached the parched corn, we are told that “SHE DID EAT, AND WAS SUFFICED, AND LEFT.” So shall it be with every Ruth. Sooner or later every penitent shall become a believer, every mourner a singer. There may be a space of deep conviction, and a period of much hesitation; but there shall come a season when the soul decides for the Lord, and cries, “If I perish, I perish. I will go as I am to Jesus. I will not play the fool any longer with my buts and ifs, but since he bids me believe that he died for me, I will believe it, and will trust his cross for my salvation.” Whenever you shall be privileged to do this, you shall be “satisfied.” “She did eat, and was sufficed.” Your head shall be satisfied with the precious truth which Christ reveals; your heart shall be content with Jesus, as the altogether lovely object of affection; your hope shall be filled, for whom have you in heaven but Christ? Your desire shall be satiated, for what can even your desire hunger for more than “to know Christ, and to be found in him.” You shall find Jesus charm your conscience, till it is at perfect peace, he shall content your judgment, till you know the certainty of his teachings; he shall supply your memory with recollections of what he did, and gratify your imagination with the prospects of what he is yet to do. “She was sufficed, and left.” Some of us have had deep draughts of love; we have thought that we could take in all of Christ, but when we have done our best, we have had to leave a vast remainder. We have sat down with a ravenous appetite at the table of the Lord’s love, and said, “Nothing but the infinite can ever satisfy me,” and that infinite has been granted us. I have felt that I am such a great sinner that nothing short of an infinite atonement could wash my sin away, and no doubt you have felt the same; but we have had our sin removed, and found merit enough and to spare in Jesus; we have had our hunger relieved, and found a redundance remaining for others who are in a similar case. There are certain sweet things in the word of God which you and I have not enjoyed yet, and which we cannot enjoy yet; and these we are obliged to leave for a while, till we are better prepared to receive them. Did not our Lord say, “I have yet many things to say unto you, but ye cannot bear them now”? There is a special knowledge to which we have not attained, a place of intimate fellowship with Christ which we have not yet occupied. There are heights of communion which as yet our feet have not climbed—virgin snows of the mountain of God untrodden by the foot of man. There is yet a beyond, and there will be for ever. A verse or two further on we are told what Ruth did with her leavings. It is very wrong, I believe, at feasts to carry anything home with you; but she was not under any such regulation, for that which was left she took home and gave to Naomi. So it shall be even with you, poor tremblers, who think you have no right to a morsel for yourselves; you shall be allowed to eat, and when you are quite sufficed, you shall have courage to bear away a portion to others who are hungering at home. I am always pleased to find the young believer beginning to pocket something for others. When you hear a sermon you think, “My poor mother cannot get out to-day; how I wish she would have been here, for that sentence would have comforted her. If I forget everything else, I will tell her that.” Cultivate an unselfish spirit. Seek to love as you have been loved. Remember that “the law and the prophets” are fulfilled in this, to love the Lord your God with all your heart, and your neighbour as yourself. How can you love your neighbour as yourself if you do not love his soul? You have loved your own soul; through grace you have been led to lay hold on Jesus; love your neighbour’s soul, and never be satisfied till you see him in the enjoyment of those things which are the charm of your life and the joy of your spirit. Take home your gleanings for those you love who cannot glean for themselves. I do not know how to give you an invitation to Christ more pleasantly, but I would with my whole heart cry, “Come and welcome to Jesus.” I pray my Lord and Master to reach a handful of parched corn of comfort to you if you are a trembling sinner, and I also beg him to make you eat till you are fully sufficed. “He giveth snow like wool; he scattereth the hoarfrost like ashes. He casteth forth his ice like morsels; who can stand before his cold? He sendeth out his word, and melteth them; he causeth his wind to blow, and the waters flow.”—Psalm 147:16-18. “Let us, with a gladsome mind, Praise the Lord, for he is kind.”Thus much upon the operations of nature. It is a very tempting theme, but other fields invite me. II. I would address you very earnestly and solemnly upon THOSE OPERATIONS OF GRACE, OF WHICH FROST AND THAW ARE THE OUTWARD SYMBOLS. There is a period with God’s own people when he comes to deal with them by the frost of the law. The law is to the soul as the cutting north wind. Faith can see love in it, but the carnal eye of sense cannot. It is a cold, terrible, comfortless blast. To be exposed to the full force of the law of God would be to be frost-bitten with everlasting destruction; and even to feel it for a season would congeal the marrow of one’s bones, and make one’s whole being stiff with affright. “Who can stand before his cold?” When the law comes forth thundering from its treasuries, who can stand before it? The effect of law-work upon the soul is to bind up the rivers of human delight. No man can rejoice when the terrors of conscience are upon him. When the law of God is sweeping through the soul, music and dancing lose their joy, the bowl forgets its power to cheer, and the enchantments of earth are broken. The rivers of pleasure freeze to icy despondency. The buds of hope are suddenly nipped, and the soul finds no comfort. It was satisfied once to grow rich, but rush and canker are now upon all gold and silver. Every promising hope is frost-bitten, and the spirit is winter-bound in despair. This cold makes the sinner feel how ragged his garments are. He could strut about, when it was summer weather, and think his rags right royal robes, but now the cold frost finds out every rent in his garment, and in the hands of the terrible law he shivers like the leaves upon the aspen. The north wind of judgment searches the man through and through. He did not know what was in him, but now he sees his inward parts to be filled with corruption and rottenness. These are some of the terrors of the wintry breath of the law. This frost of law and terrors only tends to harden. Nothing splits the rock or makes the cliff tumble like frost when succeeded by thaw, but frost alone makes the earth like a mass of iron, breaking the ploughshare which would seek to pierce it. A sinner under the influence of the law of God, apart from the gospel, is hardened by despair, and cries, “There is no hope, and therefore after my lusts will I go. Whereas there is no heaven for me after this life, I will make a heaven out of this earth; and since hell awaits me, I will at least enjoy such sweets as sin may afford me here.” This is not the fault of the law; the blame lies with the corrupt heart which is hardened by it; yet, nevertheless, such is its effect. When the Lord has wrought by the frost of the law, he sends the thaw of the gospel. When the south wind blows from the land of promise, bringing precious remembrances of God’s fatherly pity and tender lovingkindness, then straightway the heart begins to soften, and a sense of blood-bought pardon speedily dissolves it. The eyes fill with tears, the heart melts in tenderness, rivers of pleasure flow freely, and buds of hope open in the cheerful air. A heavenly spring whispers to the flowers that were sleeping in the cold earth; they hear its voice, and lift up their heads, for “the rain is over and gone; the flowers appear on the earth, the time of the singing of birds is come, and the voice of the turtle is heard in our land.” God sendeth his Word, saying, “Thy warfare is accomplished, and thy sin is pardoned;” and when that blessedly cheering word comes with power to the soul, and the sweet breath of the Holy Spirit acts like the warm south wind upon the heart, then the waters flow, and the mind is filled with holy joy, and light, and liberty. “The legal wintry state is gone, The frosts are fled, the spring comes on, The sacred turtle-dove we hear Proclaim the new, the joyful year.” Having shown you that there is a parallel between frost and thaw in nature and law and gospel in grace, I would utter the same thoughts concerning grace which I gave you concerning nature. 1. We began with the directness of God’s works in nature. Now, beloved friends, remark the directness of God’s works in grace. When the heart is truly affected by the law of God, when sin is made to appear exceeding sinful, when carnal hopes are frozen to death by the law, when the soul is made to feel its barrenness and utter death and ruin—this is the finger of God. Do not speak of the minister. It was well that he preached earnestly: God has used him as an instrument, but God worketh all. When the thaw of grace comes, I pray you discern the distinct hand of God in every beam of comfort which gladdens the troubled conscience, for it is the Lord alone who bindeth up the broken in heart and healeth all their wounds. We are far too apt to stop in instrumentalities. Folly makes men look to sacraments for heart-breaking or heart-healing, but sacraments all say, “It is not in us.” Some of you look to the preaching of the Word, and look no higher; but all true preachers will tell you, “It is not in us.” Eloquence and earnestness at their highest pitch can neither break nor heal a heart. This is God’s work. Ay, and not God’s secondary work in the sense in which the philosopher admits that God is in the laws of nature, but God’s personal and immediate work. He putteth forth his own hand when the conscience is humbled, and it is by his own right hand that the conscience is eased and cleansed. I desire that this thought may abide upon your minds, for you will not praise God else, nor will you be sound in doctrine. All departures from sound doctrine on the point of conversion arise from forgetfulness that it is a divine work from first to last; that the faintest desire after Christ is as much the work of God as the gift of his dear Son; and that our whole spiritual history through, from the Alpha to the Omega, the Holy Spirit works in us to will and to do of his own good pleasure. As you have evidently seen the finger of God in casting forth his ice and in sending thaw, so I pray you recognize the handiwork of God in giving you a sense of sin, and in bringing you to the Saviour’s feet. Join together in heartily praising the wonder-working God, who doeth all things according to the counsel of his will. “Our seeking thy face Was all of thy grace, Thy mercy demands and shall have all the praise: No sinner can be Beforehand with thee, Thy grace is preventing, almighty and free.” 2. The second thought upon nature was the ease with which the Lord worked. There was no effort or disturbance. Transfer that to the work of grace. How easy it is for God to send law-work into the soul. You stubborn sinner, you cannot touch him, and even providence has failed to awaken him. He is dead—altogether dead in trespasses and sins. But if the glorious Lord will graciously send forth the wind of his Spirit, that will melt him. The swearing reprobate, whose mouth is blackened with profanity, if the Lord doth but look upon him and make bare his arm of irresistible grace, shall yet praise God, and bless his name, and live to his honour. Do not limit the Holy One of Israel. Persecuting Saul became loving Paul, and why should not that person be saved of whose case you almost despair? Your husband may have many points which make his case difficult, but no case is desperate with God. Your son may have offended both against heaven and against you, but God can save the most hardened. The sharpest frost of obstinate sin must yield to the thaw of grace. Even huge icebergs of crime must melt in the Gulf-stream of infinite love. Poor sinner, I cannot leave this point without a word to you. 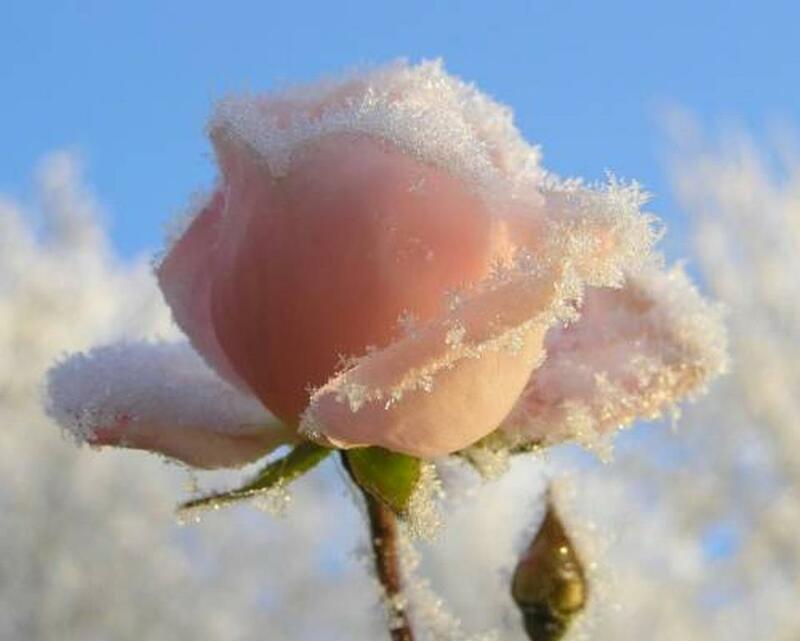 Perhaps the Master has sent the frost to you, and you think it will never end. Let me encourage you to hope, and yet more, to pray for gracious visitations. Miss Steele’s verses will just suit your mournful yet hopeful state. After seven years, the famine starts. 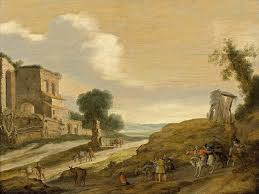 Jacob‘s sons go down to Egypt and bring back grain to sustain their families. Jacob and his sons had no relief from the famine. God’s overall plan included sending them to Egypt, reuniting them with Joseph, and feeding them from Egypt’s storehouses. But this bigger picture wasn’t apparent to them. Suffering and hardship never end quickly enough. Waiting for God to intervene can test us to the breaking point. But remaining faithful to God is an opportunity to learn greater trust and dependence. In other words, we build a deeper, closer relationship with God. Suffering may cause us to question God’s goodness; faithfulness is the path we must travel to uncover that goodness. This was what Jacob and his sons discovered. God had been working for good throughout the famine. If you are facing suffering or hardship and God is not bringing relief as quickly as you would like, remember that he is working for good in the meantime. Echo the words of Psalm 119:81, and ask God for the strength to remain faithful. I think it was Christmas Evans who used the simile of the blacksmith’s dog, which, when his master first set up in trade, was very much frightened with the sparks, but at last he got to be so used to them that he went to sleep under the anvil. 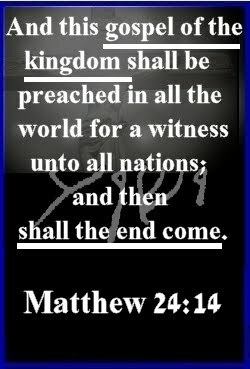 ˜And so, said the good preacher, ˜there be many that go to sleep under the gospel, with the sparks of damnation flying about their nostrils. And certainly there are such. I am told that when they are making the great boilers at Bankside, when a man has to go inside for the first time and hold the hammer, the noise is so frightful, that his head aches and his ears seem to have lost all power of hearing for a long time afterwards; but I am also told that after a week or two a person can go to sleep in the midst of these boilers while the workmen are hammering outside, and he would sleep none the less soundly for the noise. So I know there is such a thing as going to sleep under the most thundering ministry. I know that men get used to these things, used to being invited, used to being warned, used to being thundered at. They have been pleaded with until they sleep under it; I doubt not they would sleep even if the world were blazing, if the sun were turned into darkness, and the moon into blood; and I think that even the trumpet of the archangel would not suffice to wake them from their lethargy, if they heard it long enough to be accustomed to it. Shall we give you up as hopeless? I think we almost may. If you have heard so long, and been unblessed, there is no great likelihood that you ever will be blessed; but you will go on as you have been going, till at last you perish. For meditation: Faithful gospel preachers sometimes get accused of hardening the hearts of their unbelieving hearers. That is the equivalent of blaming Moses for repeating a message from God (Exodus 5:1,3; 6:11; 7:2,16; 8:1,20; 9:1,13; 10:3) which led to Pharaoh hardening his heart (Exodus 8:15,32; 9:34). Beware of apportioning blame like this ”those who harden their hearts against the gospel will not be able to hide on the day of judgment (Romans 2:4â€“5).